This might be my favorite card in the class so far! I used shimmer watercolors to make the background like Kristina's, which I used on the card below. 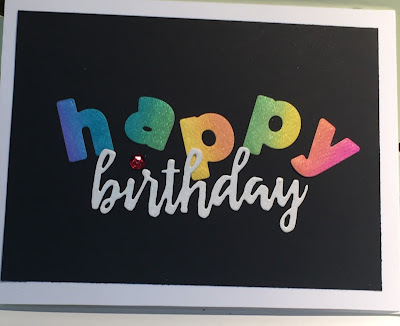 Then I cut out the letters using CZ Design's Everett Alphabet, cut the birthday die on shimmer paper, and added a sequin to dot the letter i. Love the way it turned out on the black cardstock! 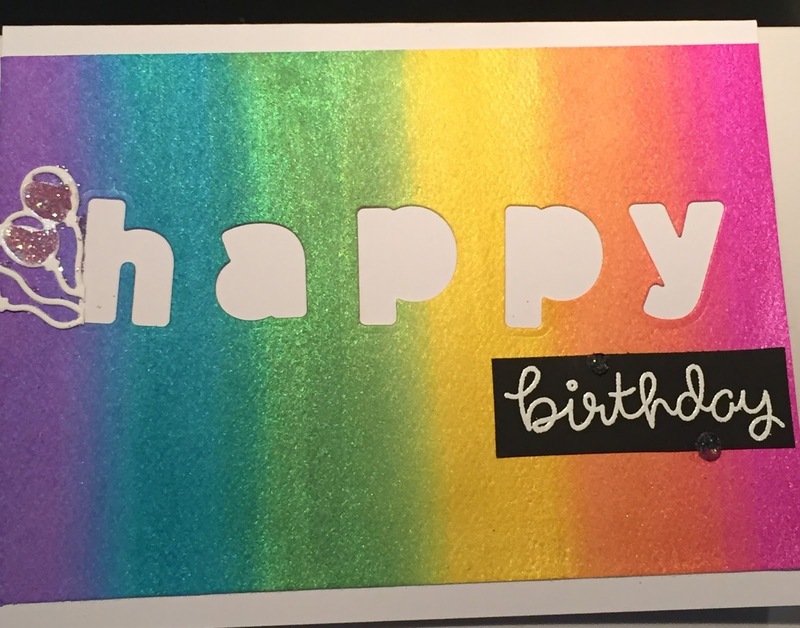 This card was made with the rainbow background of shimmer watercolors. I learned that, even with a magnetic cutting pad, I need to tape the letters down to keep them in line. But, no worries! I added the balloons to give the impression that they were trying to push my wayward "h" out of place. Nice save, right? For a bit of bling I added liquid crystal drops and dusted them with ultra fine glitter.